In my new home office space, I was using an old, giant office chair…with wheels. I like a nice stationary chair as I work so I decided to take an old, stained chair from our basement and reupholster to make it seem new! 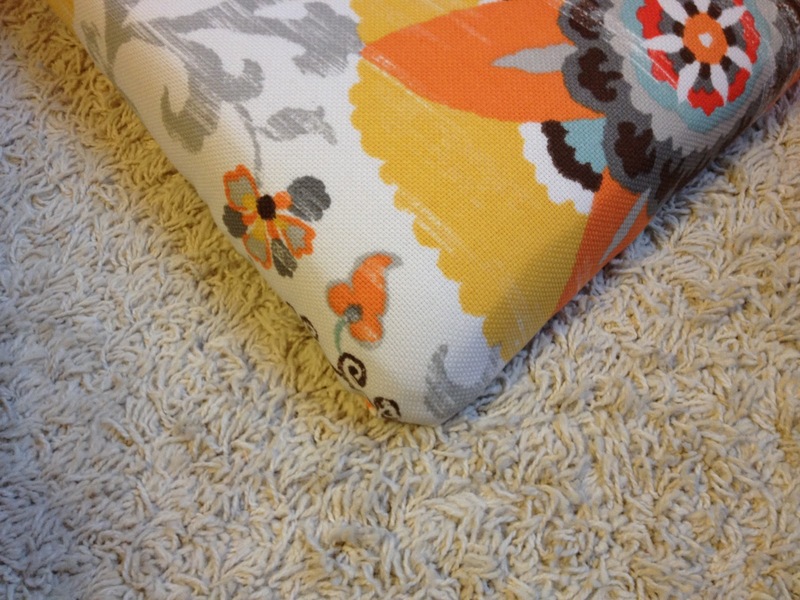 I went to a little fabric shop down the street and found the best upholstery fabrics, it was SO hard to choose. I thought I’d share the process with you, let’s start with the finished project, didn’t it come out cute? 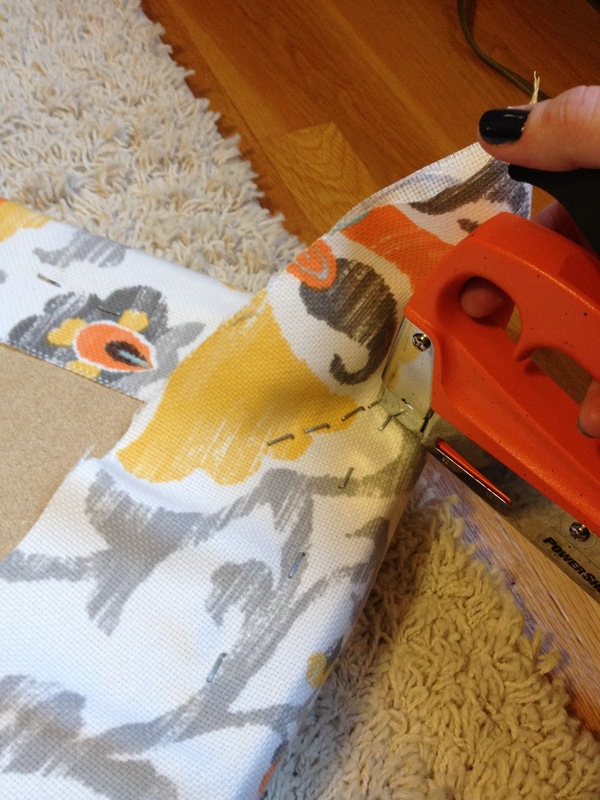 I had never reupholstered anything – ever. So first step was to research how. I found great instructions from the blog Little Green Notebook, the most important part for me, the how-to on corners. 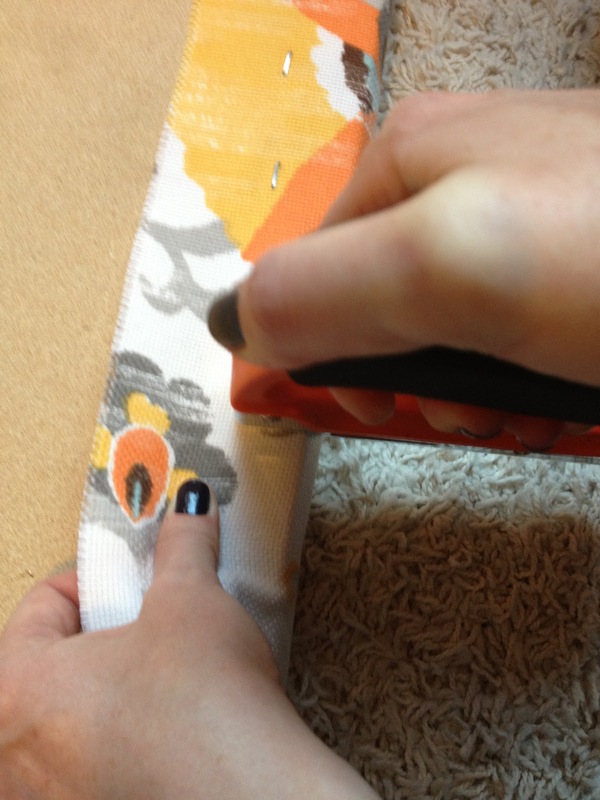 I was only doing the seat cushion of this chair, so once it was stripped of the old fabric, I was ready to staple on the new. 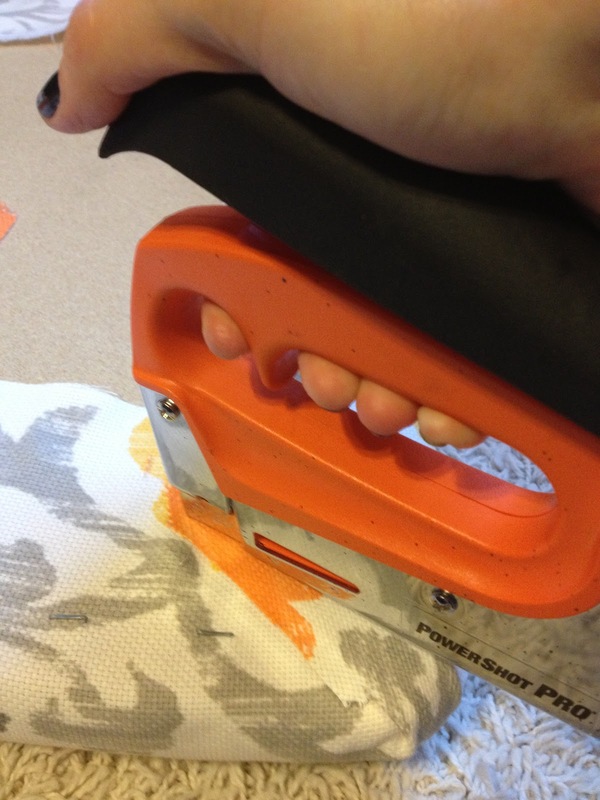 Staple up from the corner at a 45 degree angle on both pieces of fabric that have come together at the corner. 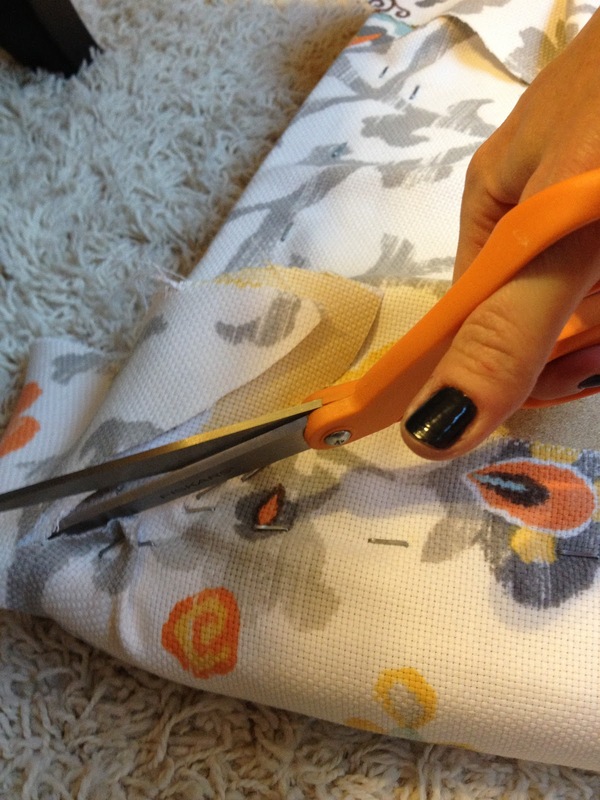 Snip off extra fabric from both sides, leaving a little tab long enough to pull up and staple. Pull the tab up and staple. 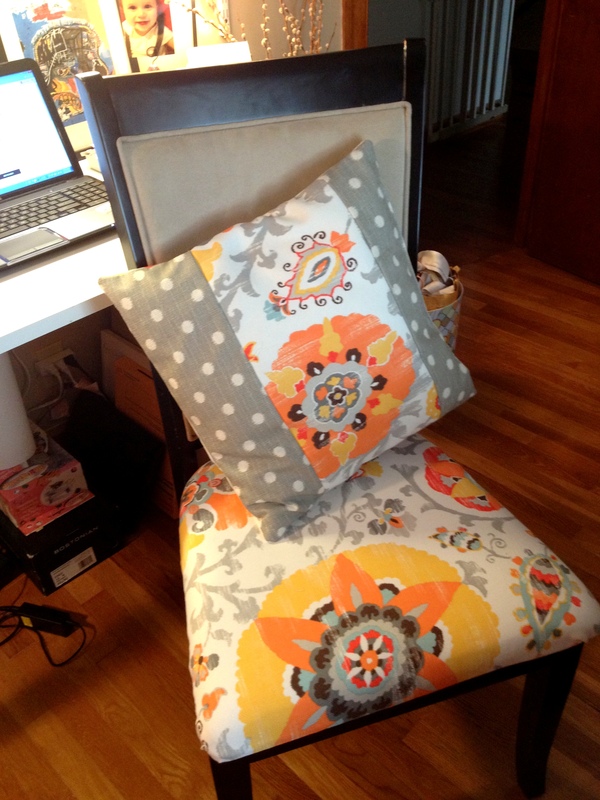 Once the fabric was stapled on, I just reattached it to the chair and voila – it looks great! 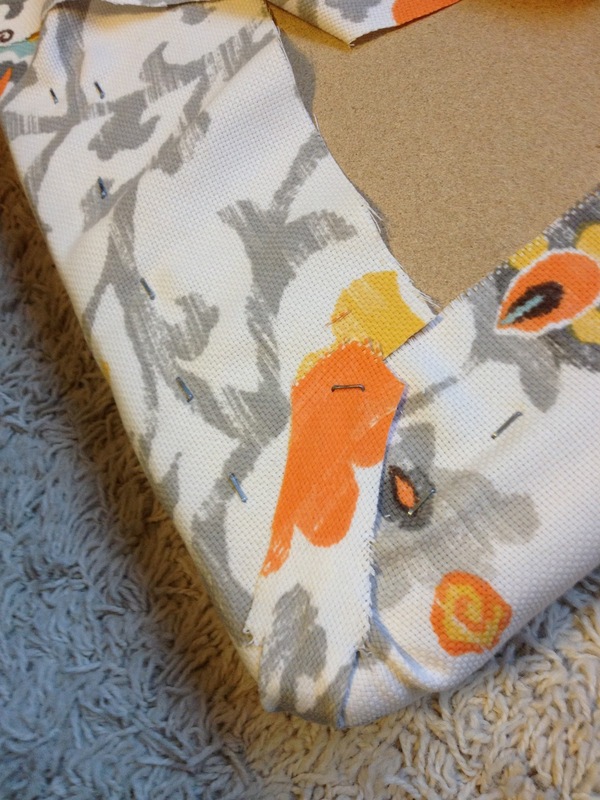 The back of the chair was not able to be reupholstered so I made a little pillow with leftover fabric (and that cute polka dot gray fabric! ), I think it really adds to the chair – and is comfy on my back.